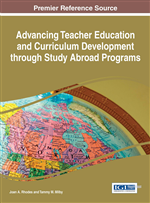 In this chapter the authors review literature--primarily within the field of teacher education--and present their own data about the benefits and challenges of study abroad. Drawing from the literature and data collected over eleven years of Purdue University's Honduras Study Abroad, the authors pragmatically doubt the often unquestioned benefits or transformative nature of study abroad programs. The authors argue that while international cross-cultural experiences can result in increased multicultural awareness, it is important that study abroad participants are encouraged to critically examine the reasons they are going abroad, the neoliberal context in which they study abroad, and the manner in which they process their assumptions and experiences in the host country in relation to their own identity. The authors offer suggestions for improvement for those wanting to integrate more intentional reflection and critical curriculum. We employ a postglobal framework in order to recognize the colonial foundations of global social relations and the project of formal education (Willinsky, 1998). By postglobal, we mean a resistance to neoliberal ideological and economic globalization, and explorations of alternative forms of existence outside the purview of the hegemonic desires of neoliberal globalization. We suggest that a postglobal understanding for teacher education is necessary in order to recognize and imagine alternatives to globalization’s epistemological colonization within education. The purpose of a postglobal approach to preservice teachers’ international cross-cultural experiences is to provide opportunities for engagement with “border thinking” (Mignolo, 2000), by which we mean thinking that engages the difference between epistemological stances based in various locales and regions in the global South and the global North. Through a postglobal perspective, globalization is challenged by alternative knowledges that fall inside and outside the epistemological boundaries of the colonial/modern world system (Mignolo, 2000). A postglobal perspective provides opportunities for preservice teachers to develop critical thinking skills through the examination of the influence of neoliberal globalization on education (López, 2007).